Halloween has triggered the holiday trifecta, signaling that Thanksgiving and the many and varied winter holidays are fast approaching! It’s a chaotic time of year – made even more chaotic by what is going on in our country – and, closer to home, our city – as we continue to recover from hurricane Harvey. I hope you’ll be compassionate with yourself and those in your world. Take time to slow down and breathe. Meditate silently each morning before the day begins, a practice which really helps me get centered before the noise of the day overwhelms me. I also love mantras and say them a LOT, especially this time of year. Below are some of my favorites. Feel free to steal them – after all, I did! And if you’re looking for a place to hang out in the middle of these busy days and nights, I recommend you check out the Hines Center for Spirituality and Prayer. 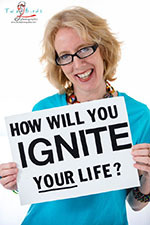 They have many centering and soul-filling programs each week. I host second Saturday labyrinth walks (including art-making!) each month, so please join me when you can. My next one will be Saturday, December 9, 10-11:50am, and you can see all the details here. 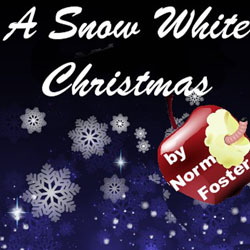 “A Snow White Christmas” is being presented by Theatre Suburbia through December 2. The story is a fun mashup of the Prince Charming and Snow White fairy tales, with Christmas thrown in. There are matinees at 3pm this Sunday, November 19 and Sunday, November 26. 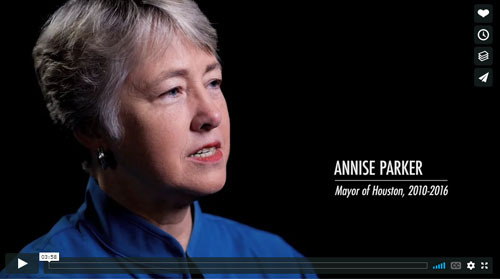 Did you know that we have a Sister Cities of Houston nonprofit? 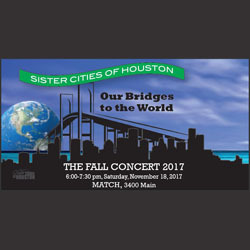 They present an annual fall show and this year it’s “Our Bridges to the World,” taking place at the MATCH on Saturday, November 18 at 6pm. This international variety show will feature local and international performers from Houston and its 18 Sister Cities (click here to see the complete list). I love outdoors ice skating – and so do the folks at Discovery Green, who are having a party to celebrate the annual opening of their rink (through January 21, 2018). 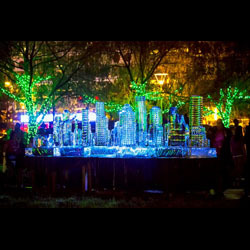 Frostival takes place this Saturday, November 18, 6-10pm and there will be music by the Peterson Brothers, live ICE battles with Reverend Butter, tunes from DJ Caps, art cars (including my Phoenix Rising art car), and more! 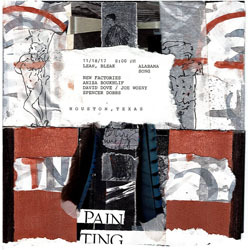 Alabama Song is a small arts space in Houston located at 2521 Oakdale Drive that features experimental music, writings, and more. This Saturday, November 18 at 8pm, they are presenting “Lean, Bleak” with musicians such as David Dove and Joe Wozny. The cover is only $5! 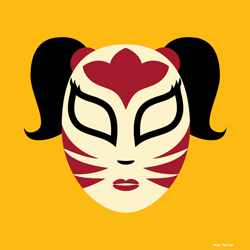 “Luchadora!” is the charming tale of a Wisconsin grandmother named Lupita whose discovery of a long-forgotten wrestling mask prompts her to share her tale about growing up in 1960s Texas and her life as a teen tomboy (think “Mulan”!). Shows are November 17 (10am & 8pm); November 18 (8pm); and November 19 (2pm). This is a fun weekend of arts markets! 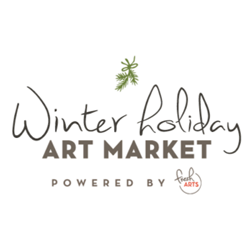 Check out the Winter Holiday Arts Market/WHAM from Friday, November 17 through Sunday, November 19 at the Winter Street Studios. And over in the downtown arts district, you can experience the 25th ArtCrawlHouston 2017, featuring over 140 artists and over 15 warehouses. It’s an arts smorgasbord!